Jessica is offering 2 seperate sessons. Learn how to make lovely glass icicle ornaments just in time for your Holiday decorating! 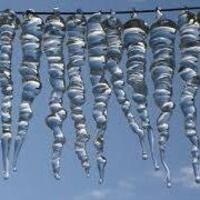 Students will have a chance to learn the basics of Flameworking glass while making their very own glass icicles. Students will learn basic connections and have fun manipulating the glass. Students will make approximately 5 icicles.